Larix International Conferences on Nursing: What are some important facts about midwifery? What are some important facts about midwifery? 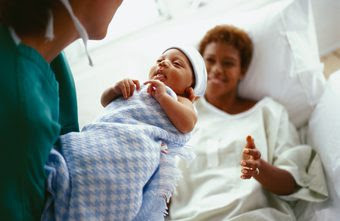 The most important facts about midwifery is that trained midwives have the same good outcome statistics for mothers and babies as doctors when it comes to healthy mothers and babies, but a lower c-section rate, a lower episiotomy rate, a higher satisfaction rate, and are the best buy for health care dollars. Midwives are experts in the normal and guardians of the normal. They are highly trained to screen for anything outside of normal. Doctors are trained to be experts in taking care of the conditions that are outside of normal and are essential partners to good midwives. Midwives know how to take care of women and girls throughout the life-span, from puberty to menopause. It is important to learn about the training of the midwives in your area and the laws in your state regarding midwives. In most states, Certified Nurse Midwives can attend births in hospitals, birth centers, and homes. They can also prescribe medications, order lab tests, order ultrasounds, and do routine pap smears and annual exams. Certified Professional Midwives do only prenatal care and births in birth centers and homes. Both are more likely to spend more time with a woman at each prenatal visit, give more individualized education, be present and more high-touch during labor and birth than doctors have time to do. In most cases, Certified Nurse Midwives are covered by your insurance. Even birth centers are covered by some insurances. Birth centers are lovely safe places to have your baby where it is like having your baby at home but the midwife has all the equipment she may need right there. There is room for your family and friends to hang out and eat and visit. Home births are where you have total control over where, who, and how you birth but the midwife has to bring all of her equipment with her. For both birth center and home births, there are about 30% of women who will screen out of the ability to birth there and that is why the average birth center has only a 4% C-section rate. Emergency transfers for all complications are always available. Some birth centers are attached to the hospital and are more liberal about who they will allow to birth there. Do your research about the safety and skill of midwives. You will find that there are wonderful midwives in many communities who want to work with you to make your birth experience as positive as possible. If you cannot find a midwife within a reasonable distance for where you want to birth, strongly consider getting a trained doula as they can make a big difference in your experience and your outcome also.